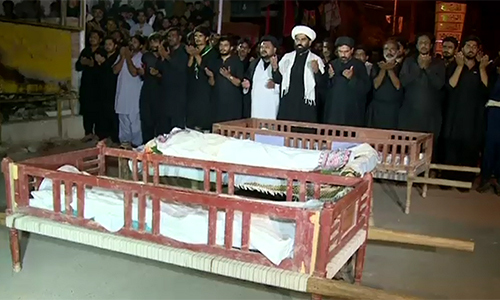 JACOBABAD (92 News) – Relatives of 23 victims of the suicide blast ended their sit-in at DC Chowk on Saturday. Later, the funeral of the victims was offered. Sindh IGP Ghulam Haider Jamali has formed two teams for investigations.